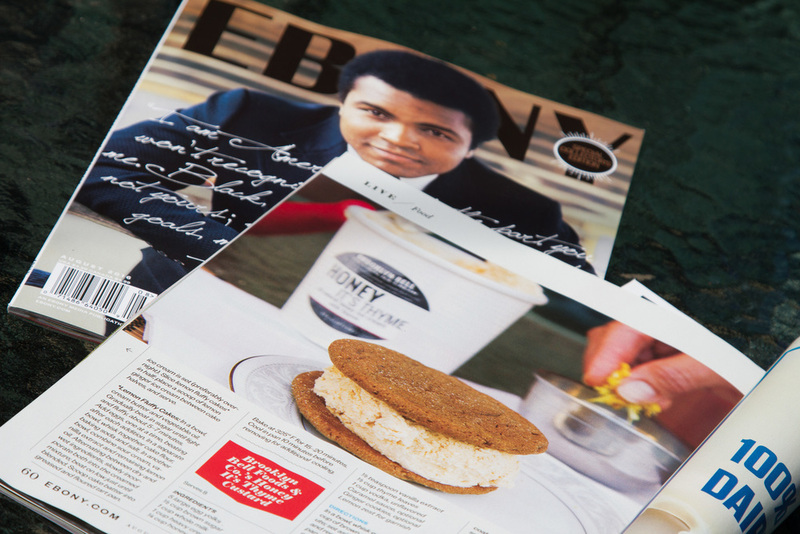 It’s an honor to have our first published ice cream recipe in the August 2016 Ebony magazine. I found myself just gazing at the cover. You can’t miss it with the gentle smile of the Greatest, Muhammad Ali gracing the cover. It makes me smile just to be included in such a special issue. Flip to page 60 and you’ll find our very own make-at-home version of our Honey its Thyme ice cream recipe. I’d like to point out my wife, Kati made the shot! Those are her fingers in the background with the lemon zest. She also made the gingersnap cookies that are the perfect mate for the ice cream. I’d like to thank the author Nina Hemphill Reeder and Ebony magazine for the opportunity.